Over 400 five-star reviews. Camilla Stewart’s ex-fiance ripped her off and disappeared, leaving her to care for his eight-year-old son alone. 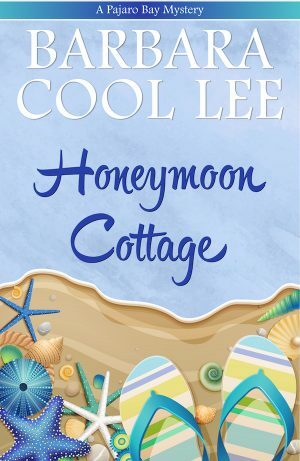 But when she arrives in Pajaro Bay, she finds a village full of cute cottages, quirky characters… and a killer on the loose who is somehow linked to her, the young boy, and the darling little house known as the Honeymoon Cottage.